In addition to our custom extrusion and fabrication services, we offer one of the widest variety of stock dies in the US. Our aluminum dies exhibit the same quality and durability our custom extrusions are known for. They are manufactured to the highest industry standards, in our own fully equipped state-of-the-art extrusion facility. Our team ensures that the stock dies you need is available for your order ensuring the fastest turn-around times possible. AEI is well aware of the commonly requested dies needed when it comes to aluminum extrusions. Based on our extensive knowledge and diverse customer base, we have a wide variety of shapes and profiles available at all times. Having the stock dies available helps to you save you time and money on your next project. Our stock dies are used for architectural products and even for the aluminum products for the department of transportation signs. You can take a look at our complete list of product and specification to see if we have exactly what you need. Call customer service to request a stock die catalog! AEI not only offers stock dies, it also offers complete range of services to help you make your extrusions usable for your project. Our huge facility houses our painting and fabrication departments that allow us to offer both services all under one roof. We use the most advanced fabrication tools and techniques along with industrial grade paint enamel to ensure the best quality product at every step. Learn more about our aluminum painting and fabrication capabilities. The main objective behind having a large inventory of stock extrusions is to help our clients meet their deadlines for time sensitive projects. With this goal in mind, AEI also offers complete packaging and shipping service managed by our own team of packaging and shipping experts. Once you have confirmed the order, you can rely on our team to deliver your aluminum extrusions to you without any damage or defect during transportation. Our friendly team of aluminum extrusion experts will provide complete guidance and advice regarding your project and the stock dies best suited for your needs. 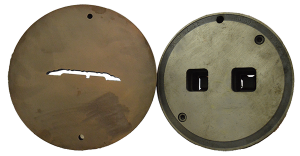 If your project requires a custom die, you can always trust AEI to create custom dies to meet your project requirements – no matter how unique or complex. Learn more about our custom aluminum extrusion capabilities. When you need highest quality extrusions, AEI is the team you can trust.